Check out two more TV spots for WRATH OF THE TITANS, both showing a little new footage! A decade after his heroic defeat of the monstrous Kraken,Perseus (Worthington) – the demigod son of Zeus (Neeson) – is attempting to live a quieter life as a village fisherman and the sole parent to his 10-year old son, Helius. 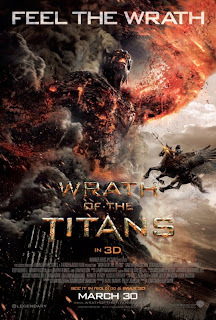 Wrath of the Titans stars Sam Worthington as Perseus , Liam Neeson as Zeus , Rosamund Pike as Andromeda , Ralph Fiennes as Hades , Bill Nighy as Hephaestus , Toby Kebbell as Argenor , Danny Huston as Poseidon, Édgar Ramírez as Ares and hits theaters on March 30th.